During the month of February, one’s mind turns to, well, for me, thoughts of anticipating the incredible rides promised by a fast-approaching spring. And, of course, Valentines Day. 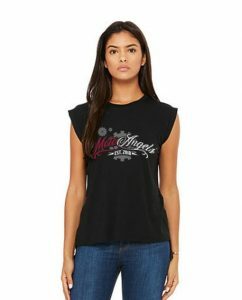 This year, us riders of all genders can do something really cool for the community of female motorcyclists – without whom we’d have no one to hand those mushy Valentines to- by visiting www.motochicgear.com. The site, founded by Bay Area asphalt burner Debra Chin, aims at outfitting female motorcyclists with high-quality riding gear designed specifically for their two-wheeled needs. Little known to us, February is American Heart Month and in support of nationwide coronary health, Moto Chic has launched “What Makes Your Heart Race” a new initiative where the company is donating 20% of everything from online sales to Women Heart, a nationwide health organization. Sure, candy and cards are OK, but if you’ve a lady in your life who digs two-wheeling, this a good time to win her over withe some righteous riding togs that she’ll appreciate all year. Check out the offerings at motochic.com and remember its a cool thing to do.